Last week had been helluva good news for Malaysian house buyers who still don’t own any property. Prices are certainly set to take a significant dive following a severe property glut with a record high unsold residential properties of about 130,690 units. The good news started on Nov 14 with a deputy minister revealing that the number of unsold completed residential units rose by 40% to 20,807 units in the first half of 2017 (1H17) compared to the same period last year. On Nov 17, Bank Negara Malaysia (BNM) revealed that Malaysia has a record high unsold residential properties of about 130,690 units until the first quarter this year, mainly for houses priced above RM250,000, while the vacancy rate for office space is expected to be at 32% in 2021. 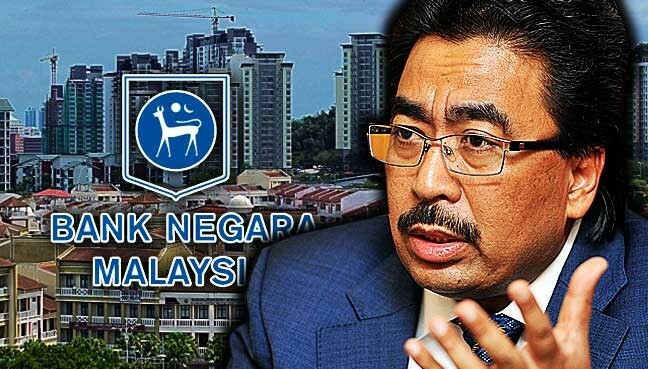 And, on Nov 19, Finance Minister II Johari Abdul Ghani was reported by NST Online as saying the cabinet (federal government) has frozen luxury property developments from Nov 1. “If the NST report is accurate and true, then it is certainly an excellent move by the federal government albeit about a decade late,” Gerakan Deputy Speaker Syed Abdul Razak Alsagoff said. “It is better late than never, and it is joyous news for Malaysians who still don’t own houses and house buyers. “The freeze will mean property developers will be forced to start launching and building affordable housing projects if they want to remain operational and in business. 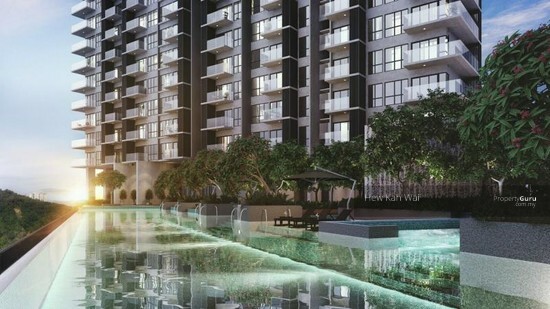 “Already, even developers in super expensive Penang are now building 1,000 sq ft condominiums, with full facilities including swimming pools, costing between RM300,000 and RM400,000 only,” he added. Syed Razak, who is Gerakan’s nominee to contest N.37 Bukit Lanjan in the coming 14th General Election (GE14), said greedy property developers had for the past decade been focusing on high-end property development that were priced about a million ringgit or more. “This has left the majority of middle-income Malaysians unable to afford buying any houses, especially those in urban areas. Freezing approvals for luxury property development is the best way to force property developers to build affordable housing units,” he added. Syed Razak urged the federal government to not “go soft” on property developers and to enforce the freeze until a significant or sizeable number of Malaysians own houses or apartments. “Ensure that at least 70% or more of Malaysians own housing units before lifting the freeze,” he added. PETALING JAYA: Following a Bank Negara Malaysia report warning that unsold residential properties are at a decade-high level, the government has frozen luxury property developments from Nov 1, NST Online reported. The news portal quoted Finance Minister II Johari Abdul Ghani as saying the cabinet decided this after scrutinising the BNM report on the real estate glut. “The Bank Negara report takes into account high-rise condominiums, shopping malls and commercial units, including those that are valued at more than RM1 million,” he said. He said the directive temporarily stops development of shopping malls, commercial complexes and condominiums valued above RM1 million until the excess supply is cleared. Johari said the government will encourage affordable homes, costing below RM300,000 each. He said there was 48% demand for affordable homes but the supply only met 28%. Under the 2018 Budget, Prime Minister Najib Razak allocated RM2.2 billion to build 248,000 more affordable homes. BNM, in a report on Friday, said the glut could worsen if the current supply-demand conditions persisted. It said Johor is poised to have the highest number of unsold residential properties and potentially the largest excess supply of retail space. “As such, it is timely for all parties to act now to mitigate any potential risks to macroeconomic and financial stability,” it added. The issue made the headlines recently with Deputy Finance Minister Lee Chee Leong saying that the number of completed residential units which have not been sold rose by 40% to 20,807 units in the first half of 2017 compared with the same period last year. “Condominiums and apartments costing over RM500,000 dominate the unsold homes in Malaysia,” he said, adding that the units were worth RM12.26 billion. In its statement on Friday, BNM projected that one in three offices will be vacant by 2021 in the country and sees 140 new malls entering the market by that year. Also on Friday, BNM governor Muhammad Ibrahim said imbalances in the property market posed significant risks to the overall economy in the event of a shock. He said Malaysia had record high unsold residential properties of about 130,690 units until the first quarter this year, mainly for houses priced above RM250,000. He also said the vacancy rate for office space is expected to be at 32% in 2021. With about 140 malls entering the market in key states by 2021, he said this would exacerbate the oversupply potentially becoming more severe than during the 1997 Asian Financial Crisis. BNM, in its report, said this is a source of concern as the property sector has linkages to more than 120 industries, collectively employing 1.4 million Malaysians. Housing loan approval rate stood above 70%, while the rejection rate remained below a four-year average at 23.3%. In the first nine months of this year, RM121.6 billion of new housing loans were approved by banks, benefiting close to 300,000 borrowers. Of this, 60% were channelled for the purchase of houses priced below RM500,000."